In our opinion, Jamie Chung is one of the most underrated style icons in Hollywood today. It doesn’t matter whether she’s making a red carpet appearance or grabbing some coffee, because no matter where she goes, the actress always seems to be put together. Even when Jamie tries to go casual, her touch for styling still makes it look like a special occasion. The Korean-American actress was spotted still looking incredibly chic despite her classic choice of a white top paired with jeans. Jamie did away with the white tee completely, choosing a cold shoulder ruffled top instead. The actress jumped on the trend of the two-tone, uneven hem jeans to jump away from the usual skinnies. 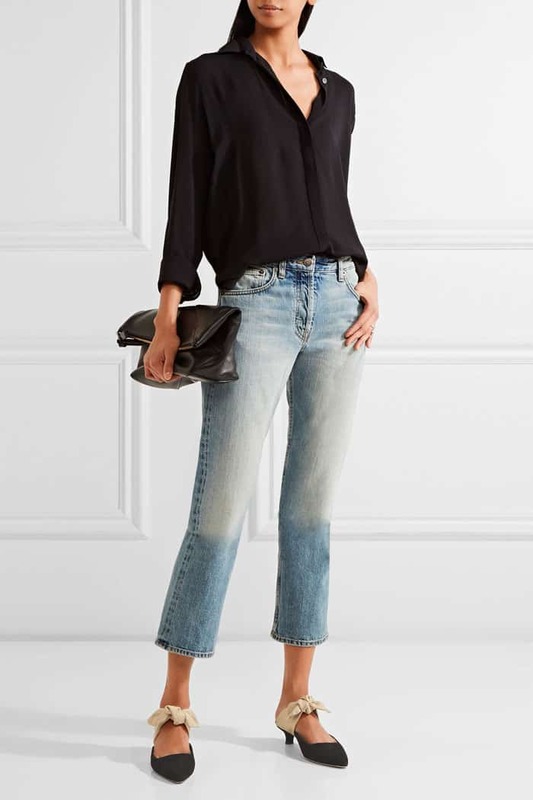 Our favorite part of the look: her “Coco” mules by The Row. 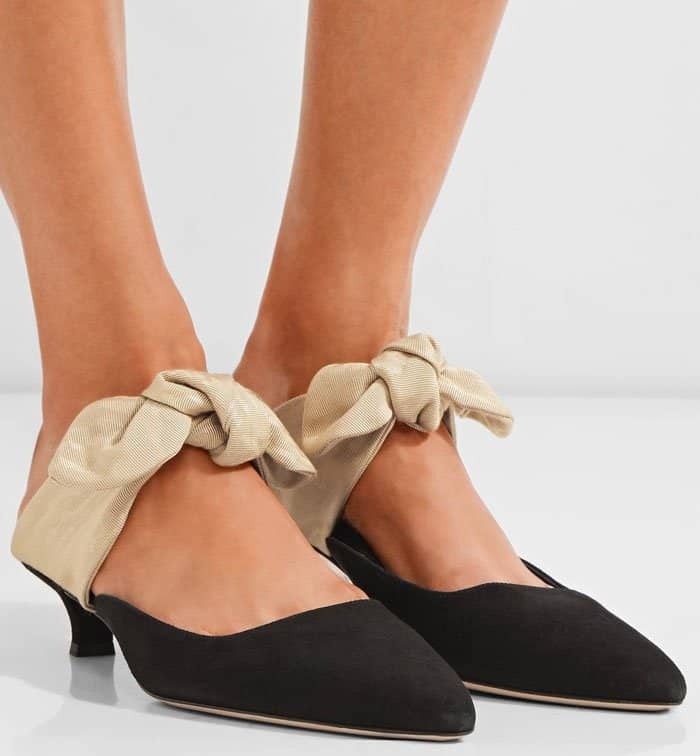 We love that it incorporates the a bow to soften the boyish mules. 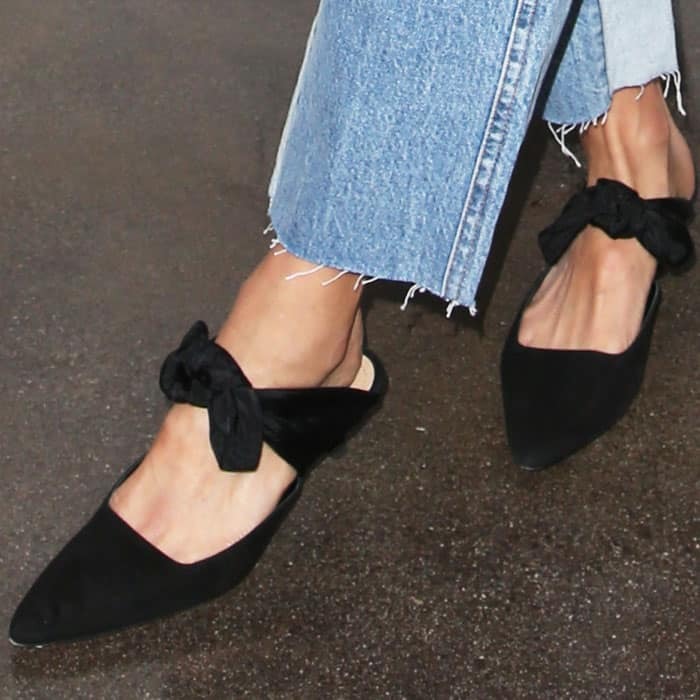 Jamie wears a pair of suede bow “Coco” mules by The Row. Jamie throws a BCBG leather moto jacket over her casual ensemble. The actress instantly changed the casual game by adding just a few tweaks to the classics. We especially love her messy studded belt for contrast. Jamie currently runs a blog called “What the Chung?” where she uploads her looks every now and then. Jamie also has a partnership Who What Wear to retail her outfits. The 34-year-old is currently gearing up to play Blink in Fox’s Marvel pilot. Jamie Chung mixes and matches her “Coco” mules with other outfits. 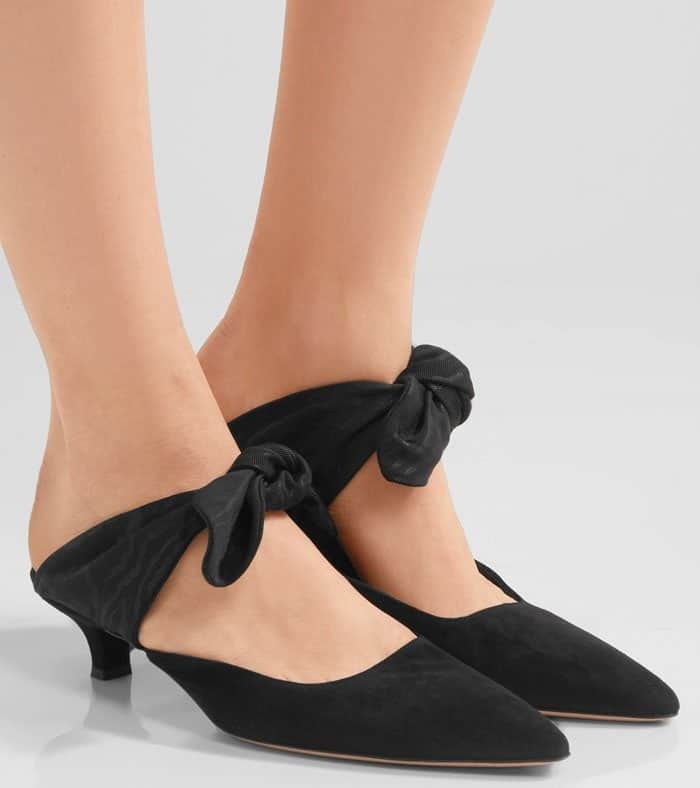 Check out Jamie’s adorable The Row “Coco” mules in two colors at Net-A-Porter and Saks Fifth Avenue.